My dad, James Smith worked here in Athens at TVCC for almost 30 years - from 1977 to 2006, including working as the Head of the English department. My family have always valued being honest with people and my Dad has a saying "everyone doesn't have to be good looking, but everyone can be polite". This phrase has always made me think of a deeper meaning - we should all try to be helpful, engaging and empathetic with people. These values stayed with me when getting into practicing Law. I graduated Athens High School in 1988 and went on to get my Bachelor of Arts in history at SMU (Southern Methodist University). I then spent 8 years working in Austin and in Arlington at a tax attorney's office. I went back to law school in 2001. My 8 year break between school and those important values instilled in me by my dad had given me a sense of humility and made going back to school a different experience for me. I was also lucky to have some excellent professors from Harvard, Oxford and Yale. I worked extremely hard and graduated from Texas Wesleyan University with my law degree. 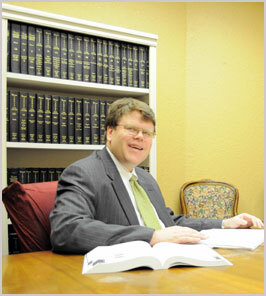 In 2005, with my dad's encouragement I returned to Athens to open my own Law practice to help local people. Why wait to get legal advice?